A full truck load just refers to a large shipment being carried by a singular trucking container. When the container is filled with only one individual’s or business’ goods, it’s known as full load. Whether or not the container is filled to the brim isn’t a specification of a full load shipment. Individuals can choose to put as much or as little as they want into their shipping containers, up to 10,000 pounds. Full Truck Load Shipping is the most commonly chosen type of shipping solution for shipments weighing more than 100 pounds. When you see large companies shipping goods via interstate by trucks, they’re utilizing full load shipping. While it costs a bit more, since you invest in the entire container, it does help to get your shipment delivered faster than other methods. That’s because you don’t have to share shipment with any other goods or items belonging to others that could be delivered in the same delivery. And, having an entire container to use for shipments allows many benefits like equally distributing weight so that fragile and items which cannot be tampered with are shipped in the most effective way available. Why do People Choose Full Load Delivery Services? 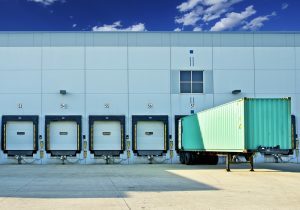 Before choosing whether or not you need full load trucking shipping, you should ask yourself a few questions. These may include what the weight of your shipment is, when you need it delivered, if you have delicate items which require extra shipping room, and what your shipping budget is. 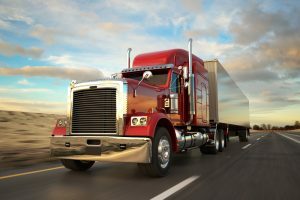 While there are many benefits to full load trucking shipments, if you don’t need to utilize all of them and don’t want to spend the extra money, there are certainly other shipping options available, like less than truckload shipping, available as well. If you want to choose full load trucking as your preferred service, United States of Freight can help. And, we can help to ship almost any object or material with our full load trucking services. We work with a network of carriers which includes companies who offer only the most innovative equipment and experienced personnel for each job. Our job is to set up the entire shipment so that you don’t have to worry about anything; licensing, paperwork, loading, and delivery. Plus, each of our shipment services includes a guaranteed $1 million insurance coverage, meaning that if something were to happen to your shipment on the way to its destination, you’ll be covered! We take customer satisfaction as our highest priority, and we want your shipping experience to be one which is everything you expect and more! To receive quotes for your full truck load shipment, give us a call today at (888) 231-2833 or contact us directly on our website!